Our staff is filled with veterans. Our employees have been with us for years for one reason. We take care of our own. And if you do business at Central Chevrolet, will take care of you too. Here at Central Chevrolet, we have a relaxed approach about doing business which relieves the stress of buying a new car, or maintaining a used one. People have been seeing our familiar faces for over 50 years, and love the way we treat them. But don’t take our word for it. Check out our testimonials page for some real talk from real customers. Let us introduce you to our friendly and knowledgeable staff! 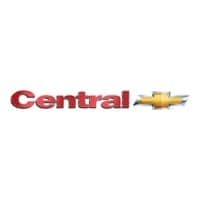 Central Chevrolet is your source for special vehicle offers. Let us take you through our complete line of new and used inventory. We can help you find exactly what you are looking for! Our Sales team is GM Trained and Certified! Central has on-site RMV Registration so you can take home your car today! Todd, our President is in house almost every day to meet and greet you offering a personal and friendly car buying experience. Our on-site IT Manager keeps Central Chevrolet up to speed with the latest computer and network technology, which keeps our website and our sales floor running smoothly and efficiently.